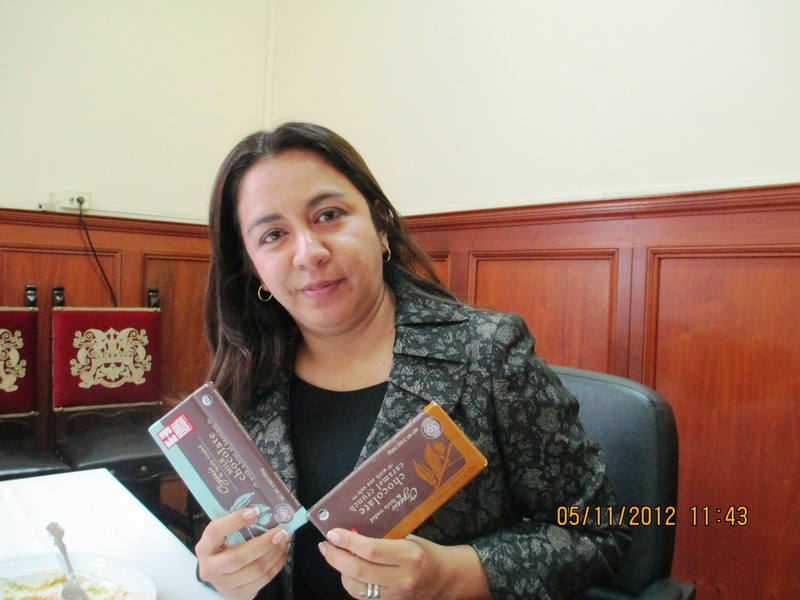 Equal Exchange At the Presidential Palace – Lima, Peru | Small Farmers. Big Change. Yesterday you read how Jessie Myszka represented Equal Exchange on a visit with other co-op leaders to the White House to discuss the role of co-operatives in our economy and how our government can better support them. Today, we bring you on another Equal Exchange visit; this time to Peru’s “White House”, or the Presidential Palace as it is called in Peru. Well, we didn’t actually make the trip ourselves; rather, our chocolate bars did. How did this happen? Santiago Paz, Co-President of Cepicafe, and good friend to many of us here at Equal Exchange, was invited by Peru’s Vice President, Marisol Espinoza, to lunch at the Presidential Palace. The background: Cepicafe, a small farmer coffee co-operative located in Piura, Peru is one of Equal Exchange’s long-term partners. 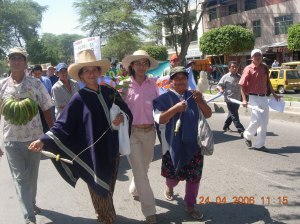 Along with the members of other Fair Trade co-operatives in northern Peru, Cepicafe helped launch Marisol Espinoza’s political career. A prominent journalist, with roots in the mountains of Piura, she often wrote about the challenges facing small farmers, learning much from her relationships with the co-ops. Eventually, she was encouraged by the farmers to run for Congressional office. To the surprise and delight of many, Marisol ran on an anti-mining and pro-small farmer platform – and won! Her election illustrates one of the most important achievements of Fair Trade – the ability to influence regional politics. In 2005, Ollanta Humala ran for President and invited Marisol to join his ticket. She consulted with Cepicafe and other co-ops in the region and with their support, accepted his invitation. Celebration in Piura after the 2006 Presidential elections. Today, Marisol is Vice President and continues to use her position to support progressive economic and social policies affecting rural communities throughout Peru. And so, last week when Santiago was invited to dine at the Presidential Palace, what did he decide to bring Marisol as a gift of appreciation? Why, Equal Exchange chocolate bars of course!